Machine Embroidery for all levels, to Quilting basics and a “mini” Curriculum on Sewing Basics. and will show a sample of the “Fleur de Lis” Quilt program. All are welcome! The following Clubs are being scheduled accordingly. Destiny/Solaris Club Second Thursday of the Month Next Meeting April 11th 5pm, (This club is free to those who purchased a Baby Lock embroidery machine from Calla Lilly), or it would be $10.00 per visit for others. Embroidery Club will meet the 1st Thursday of the following months: Next meeting Thursday April 5th 5pm . Subject is “Spring Cleaning” your Embroidery/Sewing Space! Share ideas with us to help make your sewing room better. Also, if you find an old embroidery project in your stash finished or unfinished bring it along with you, it is always good to review what you have done in the past and how machine embroidery has evolved since your first embroidery project. See everyone at Calla Lilly Sewing Corner. 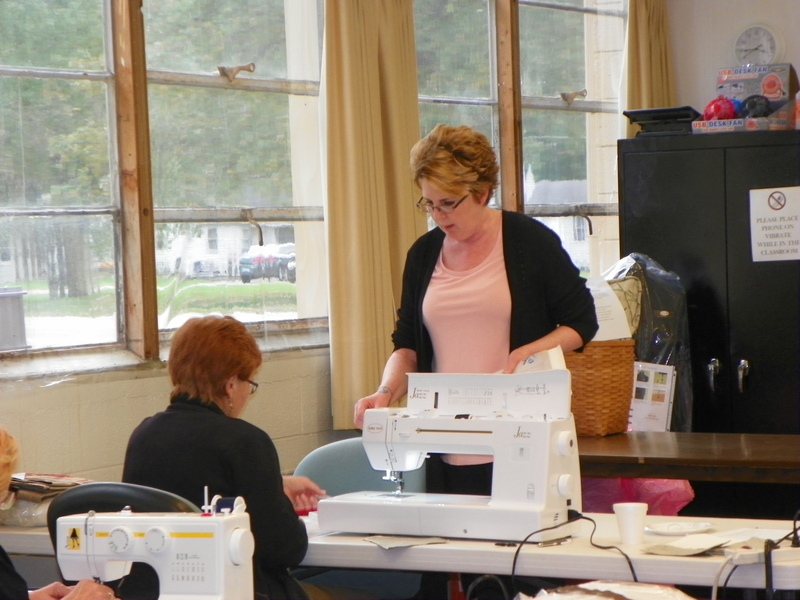 Sewing at the Corner Group will meet the fourth Tuesday of the month April 23th 6pm . This is for those would like to gather to share sewing projects(like embroidery club, but for sewing). Anyone interested in sewing about any subject, please contact me and I will put it on the agenda. Clubs are fun to get together and can be very informative, so please join us! Note: If you have not used your machine in the last 6 months I would highly recommend to have a 1 hour review on operating your machine. For Embroidery you would need to take embroidery basics class dates TBA. ***If you have not had your machine serviced in the last year it is highly recommended. For inclement weather please call store first or check our FB page for cancellations. Thank you. Requirement: Class Registration Policy: Register & pay for class 10 days before class date. Cancellation will receive store credit for class fee (some restrictions apply). No show for class will be forfeit class fee.